The Game Boy enjoyed one of the longest lifespans of any system to date, outlasting rivals and finding its way into the hearts of gamers the world over. Following a very basic logic, a system with a long lifespan will typically have a large amount of titles worth your time. In fact, games were being released for the original monochrome system over a decade after its arrival. Such a feat is reserved for only the most powerful console juggernauts, such as the NES and PS2. So the question is: what makes a Game Boy game great? 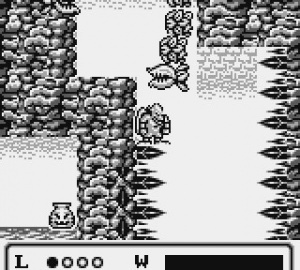 Developers took many different routes in terms of portable game design, with foundations ranging from simple Tetris-esque puzzlers ideal for short bursts to full fledged epics such as Link's Awakening. For some, the sweet spot for a Game Boy game falls in-between but leans closer to the latter: a title that can be enjoyed in short bursts and doesn't require a consistent commitment, but offers the relative depth and features of a home console game. 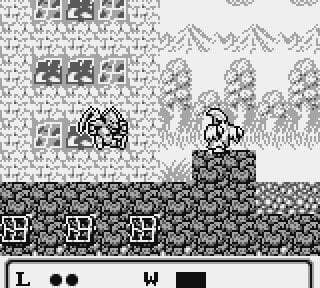 Capcom's superlative Gargoyle's Quest manages to locate this sweet spot with ease, and can now be enjoyed all over again on the 3DS Virtual Console. Some gaming veterans may remember the original Ghosts 'n Goblins, including the red jerk who invariably took away Arthur's armour, and often his life. Well, Capcom decided to give him his own game. Firebrand – for that is his name – must set off on a quest to return peace to his homeland, which is an unexpected goal for a supposed villain. While your first instinct might be to throw the former antagonist into the first pit you encounter as an act of revenge, most gamers will immediately discover that Firebrand sits atop an incredibly satisfying adventure. 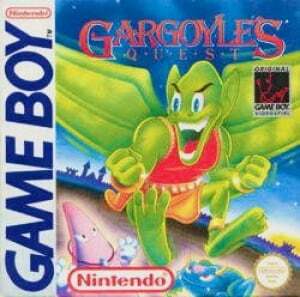 In fact, Gargoyle's Quest was one of the pioneers of genre-blending. Even while the RPG and Action genres were still being defined, Capcom took a chance on a bold new format. And like virtually all of Capcom's late 80's / early 90's efforts, this title is a pure dose of old-school splendour. 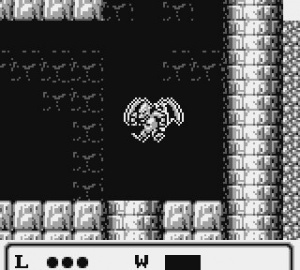 The primary gameplay of Gargoyle's Quest is that of an incredibly tight action platformer. Firebrand jumps pits, clings to walls, tackles moving platforms, and fights enemies. What sets the action segments apart from the many other games of this genre is Firebrand's hovering ability. He can hover for a limited amount of time, which not only helps him cross gaps, but also to set up well-aimed shots on enemies and bosses. Through the two fairly simple abilities of wall-climbing and hovering, this title immediately distinguishes itself from other action games of the time; controlling Firebrand is, pun intended, devilishly fun. But that's not all, as the other half of the game involves RPG-like gameplay: Firebrand visits towns, talks to locals, collects items, goes on brief fetch-quests, and all the other staples of early RPGs. He also levels up his shot, life bar, and hover-time, adding a slight Metroid flavour to the mix. For example, a fallen bridge that leads to a new area isn't accessible until Firebrand upgrades his hover time far enough to cross the gap. Gargoyle's Quest also showcases one of the not-so-romanticised elements of old-school RPGs: the random battle. While traversing the map, Firebrand will occasionally encounter a random battle, which takes him to a very small stage in which he fights a small handful of enemies using the platforming game engine. This can be slightly annoying, but it's comparatively rare in comparison to titles like Final Fantasy. Also, the map areas aren't ridiculously large as to guarantee many random battles. 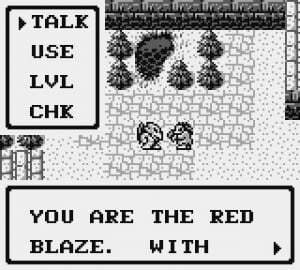 While the graphics and audio are somewhat typical of the time, the puny eight-bit system does a great job of conveying the mood of Firebrand's world. The music has a creepy 'church-organ-playing-at-night' feel to it, and fans of Ghosts 'n Goblins will recognise several familiar themes. Similarly, the sights are grim and drab, painting a portrait of a grim world. Though static screenshots might not be terribly impressive, most who play the game will find that the atmosphere has been set quite well. Although there is a password system, the Virtual Console functionality of suspend state saves and a restore point come in very handy. Even if you do use the password system, it is done well: there are no zeros (to avoid confusions with the letter “O”), the passwords are short and you maintain all of your items. Beautiful in its simplicity, satisfying in its depth and assured in execution, Gargoyle's Quest is almost a painful reminder of how good games used to be, and is a solid indication of how potent a gaming platform the Game Boy was, even during its fledgling years. This is a truly timeless release that should be experienced by gamers of all ages. Great stuff, somehow missed this first time around!! A reason to turn on my 3DS!!! Thanks for the review! Can't wait to play it. Wow, so all that hype wasn't just... hype. Cash card, here I come! Nice! I might get this. I'm still thinking about it. I might get it if I finish all my current DSi and VC games and get bored before the free 20 games come. I have the cart for this lying around. Might try it one day. Didn't expect a 9 Might have to reconsider buying this one. Sounds like a solid game that I will enjoy once I get some time. I finally downloaded this game last night and I'm really enjoying it. Great review Kaes. For anyone on the fence about this, you have to understand something. When the world was still living in 8-bits, there was no one better than Capcom. You look at the games they put out for the original NES and they weren't just good, they were dam near perfect. I'm not talking some. I'm talking EVERY one. Chip n Dale, Mega Man, Darkwing Duck, Bionic Commando, DuckTales. They were ALL epic. Gargoyle's Quest is an 8-bit Capcom game. You're guaranteed great visuals, music, controls, level design, and anything else you can pack inside 8 bits. BUY. NOW. Last Screenshot in the Article: You're already dead. If you've never played it, buy it now! If you have, you know you wanna play it again! Gargoyles Quest is an essential VC game. but then Xenoblade Chronicles came along and I honestly don't know how I'll be able to spend any time with this if I buy it now. I'm keeping an eye on it though for the future. Dizzard: You can play through it in an afternoon easily. But everyone NEEDS to play it. It really is one of the best GB games. The music alone is worth the price. And the perfect controls should be an example for all developers. This game is soo awesome. I remember being really sucked into this game when I was little. Please everyone, go get it. Man, if the first game got a 9, the review crew here better give the sequels a 10 each. GQ1 is nice and all, but it just doesn't compare to how much more polished GQ2 and especially Demon's Crest are. ...and this, my friends, is exactly why I couldn't wait for the e-shop to re-open again last night. I remembered this game quite well from my youth, and couldn't wait to re-visit Firebrand's world. Thank you for this awesome game, Capcom, and Nintendo... and please bring us more like it again. Great review. Solid! Lov this game. Love then entire trilogy, Capcom should give us a "Ultimate Ghouls n Ghosts" treatment to this. I'm totally glad to finally try this one out. For some stupid reason I ignored it originally. I can finally make up for it now. Thanks Capcom! Now pretty please give us the Nes sequel and Demon's crest. I want the whole trilogy. @22 I can't remember the length of the game but all I can remember is how fun it was! I'm sure your not going to be able to beat it in 5 hours. Hopefully its more like 15 or so and wish I could remember how long it actually took to beat it. Wonderful review and a well-deserved score. This is just an impeccably crafted game, and it grabs you right from the start. allright. the title i will get while waiting for starfox ! i remember this game creeped the hell out of me when i was a kid. One of my favorite GB games right here. Good review! Was waiting for this, now I just need an eShop card! Awesome series. Gameboy and SNES being the best imho. Great all the way to the final musical score as the credits roll. I was about to download this yesterday but then my power went off for 4 hours. I will try again today. Excellent game. I've still got my original cart that I bought with my original Gameboy (which I've also still got) 20 years back. Played it again recently and it's aged very well. I like it better than both Gargoyle's Quest 2 on the NES and Demon's Crest on the SNES too. Capcom def put this out due to Firebrand being in Ultimate MvC3 and at first it looked weird but all the reviews point towards a great game. Nintendo has been smart with whats it been putting on the VC with for GB. When I first heard of the concept I thought it would be riddled with crappy licensed games but as it turns out all the old movie and TV show licensed games have there licenses expired and there for we never have to see there horrible gameplay and design on the VC only true classics that stand out like this one as well as Avenging Spirit and Mario Picross. I thought the game was OK, I thought the platforming was some of the best I've ever played, especially for it's time. It felt like it wasn't a mystery. It felt like this. Of course I still love it even though I haven't beat it. But one thing I loved has that the platforming felt like Metroid to me to. I loved this game back in the day but being 3 when it was released I always found it too hard. Would be great to revisit. I have been telling you kids this is one of the best Game Boy games! Support Capcom and Firebrand, I would love to have a 4th game in the series! Dear Nintendo Life staff, if you are going to say Gargoyle's Quest is part of the Ghosts 'n Goblins series then can you change the Game Overview to show "Series: Ghosts 'n Goblins" instead of Ghouls 'n Ghosts? The NES Sequel and the SNES game sit on my collection but I could never track down a copy of the original GB release. Now I know what my day 1 eShop Card will be used for! I'm probably going to get this sometime, but I'm still not sure. We have the 10 free games coming up next week so.. Unless I get bored. I've always heard of this series, but I never dabbled... I guess I just didn't get wowed by demon themed games or some odd reason. Whatever the reason of me missing this all in the past, I'm game to get this, and II for NES if it comes, and Demon's Crest of SNES if that comes too. It's crazy that it takes a 20 year old gb game to give me a reason to boot up my 3ds. So I got a new system at launch and played SF4 and Zelda, and I've just been waiting for something else worth playing. This is definitely it. It's just weird that all these games worth playing are ports/remakes/vc. Starfox looks awesome, but I really want an original experience from my 3ds. That's why I bought a new system. Gargoyle's Quest 3D? That would be awesome! I hope Capcom gives Firebrand a green alternate color scheme in Ultimate MvC3 to match how he looks on the box artwork of Gargoyle's Quest. Not that I have fond memories for the packaging. Wow, this surprised me. I should get this game! How's the difficulty in this one? I think I'm going pick this one up. @45 Magicpegasus: Check out RE: Mercs, Ghost Recon Shadow Wars, and Dead or Alive Dimensions. Those are all great games. As for Gargoyle's Quest, don't think I've ever played it back in the day, so this will be new to me anyway. i recommend avenged spirit to every 1! @ TheDarkness: I normally buy pre-owned, plus more into the single-player experience of RE4, so Mercs doesn't really appeal. Shadow Wars looks really good, although it doesn't seem to have any "wow"-factor, like something that couldn't have been done on the DS. Same thing with Devil Survivor. And DoA prolly wouldn't even hold my attention as long as SF4 did. Chances are I'll check Devil Survivor and Shadow Wars when I can get them cheap. Still waiting for that killer original app though! Mario Kart, RE, Mario, and Icarus will probably do nicely. Just downloaded the game, and I am really enjoying it! I've always loved (and simultaneously despised) the Ghouls n' Ghosts series, and I've always wanted to play this game. I need to hurry up and buy a 3DS! Great game, this is, own it on GB. Demon's Crest would make a great addition to VC, too. One of the best games i played on my old GB. Also, one of the best for the system. Just Epic. Considering Urban Champion just came out, I expected this to be a sucky VC week. You know, bad things lead to more bad things. How wrong I was! I'm playing it now, but this will be my last VC purchase until Metroid II and Super Mario Land 2. Y'know, unless Nintendo decides to release Prime Trilogy on the 3DS eShop for...$11.05. That's how much I have left. Then again, that'll never happen, so I'm keeping my money! Seriously, this is a really incredible experience. Stick through the first 2 stages. It starts you out weak, and pretty slow. But once you get into the rhythm of the game's progression, you'll see the brilliance in platforming level design and how this little devil kicks ! @Magicpegasus This is a perfect example of the fact that the age of the game doesn't matter... what matters is the quality of the product! Sure, we are playing these 20 plus year old games on a portable 3d handheld with nearly zero 3-d titles available for it at retail stores, but this game, Avenging Spirit, and the upcoming Virtual Console ambassador games and releases just goes to show that age is just a number. These games are incredible, and maybe even Nintendo would offer up the colorized versions of them (Game Boy Color versions not regular GameBoy versions.) Donkey Kong 94 being a prime example. Stellar game!! My only complaint.. why not give us the colorized version??? anyways, i won't be picky. I'm happy with quality games! Nice review. Nice score. I'll download it when I have a 3DS! @Bucho Welcome to Nintendo Life! it's so not a part of the Ghosts n' Goblins' series. or if it is it was done that way as an afterthought by capcom to give it more legs. True about Capcom 8-bit games, though. Every one is a winner and a classic. haha #63 & #64 avatars. perfect. Thanks for the review! Will be downloading. @Ren, nobody stated it was of the original series, they simply stated it was a spin-off. I'm new here on this site, what is this free games business everyone is talking about? referring to #9 and #43.Also I haven't played this game in YEARS and I remember the music being like ghost's n goblin's which is some of my favorite!! 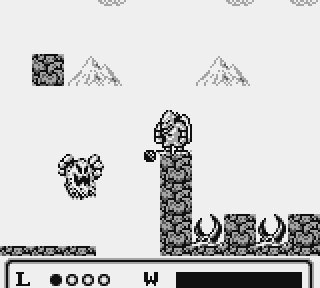 Don't remember gameplay much, but from the review I can tell it will be good, gameboy had some seriously good/addictive games.I cannot wait to download it tomorrow when I get a couple eShop cards !